Network capable electronic dry/erase copyboard 51.2W x 35.8H, email enabled, 4 writing panels. The weight of the N-324 is 55 lbs. The N-324 is a fully featured network capable electronic color copyboard that is faster, more presentable and packed with advanced specs. This copyboard has a reading area of W 50.4 × H 35.4 inches and 4 writing panels of W 51.2 × 35.8 H inches, providing ample space to users for the conduction of efficient presentations, lectures and training sessions. The display is not only brilliant but can be erased off with such efficiency that there is no chance of stains or ghosting effects. What is unique about the N-324 is that the only person who has to do the writing is the presenter and others can fully concentrate on the concept rather than re-writing every point. Once the complete notes are written on the copyborad, user can send a scanned copy of the exact same work to each and every person sitting in that room via email. Almost 5,000 email addresses can be saved on this copyboard and the content sent in emails will be in layers of security encryptions which will be later open in PDF, PNG & JPG formats. So it is that simple; just write, scan, send and save. In case the scanned work needs to be printed, connect the copyboard with optional colored inkjet and laser printer. The printer can be used both ways, when the N-324 is on a floor stand or when it is wall-mounted. This way you will be able to distribute the copies of your work among all your members, so they do not miss out any point. Basically there are two ways through which the data can be transferred. One is by using a generic NFC Type A or Felica® card/key to activate the scanning and mailing process. Second is the scanning of the dedicated IC card that saves the information in the FTP server. The N-324 features the security option which is responsible for taking care of the confidentiality of the information that is being mailed and saved. The features do not end here, this highly competent copyboard by PLUS lets to control its functions via your own Smartphones by installing the PLUS MTG Pocket app. And in case the copyborad is required in another room for another presentation, you can simply transfer it with the optional mobile stand that caters smooth mobility. Yes, the PLUS N-324 electronic Copyboard comes with free PLUS MTG Pocket on App store and Google play. Q Is PLUS N-324 electronic Copyboard device maneuverable? The PLUS N-324 electronic Copyboard is very lightweight and can be easily transported anywhere. Q Can I save information in my android device with PLUS N-324 electronic Copyboard? PLUS N-324 electronic Copyboard gives users the ability to write, save and share in real-time. 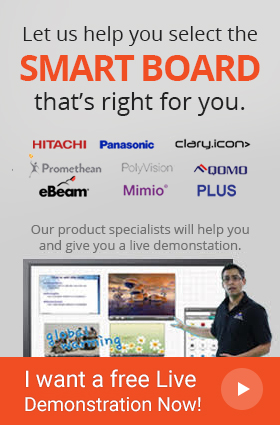 Q Does PLUS N-324 electronic Copyboard come with a warranty? Yes, the PLUS N-324 electronic Copyboard comes with a warranty of 1 year.